I’m tired of the complacency that haunts Texas politics. 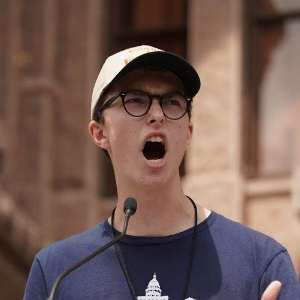 I’ve seen it in state Senate hearings, where chairs formally invite testimony from groups like the Texas State Rifle Association but refuse to offer the same courtesy to students who stand up for the prevention of gun violence. And I’m not the least bit surprised to now see this complacency transformed into reckless obstruction on the part of our Lt. Gov. Dan Patrick, who has said “red flag laws” won’t advance in the next legislative session. Red flag laws are designed to help law enforcement officers identify individuals who pose imminent danger to themselves or society. 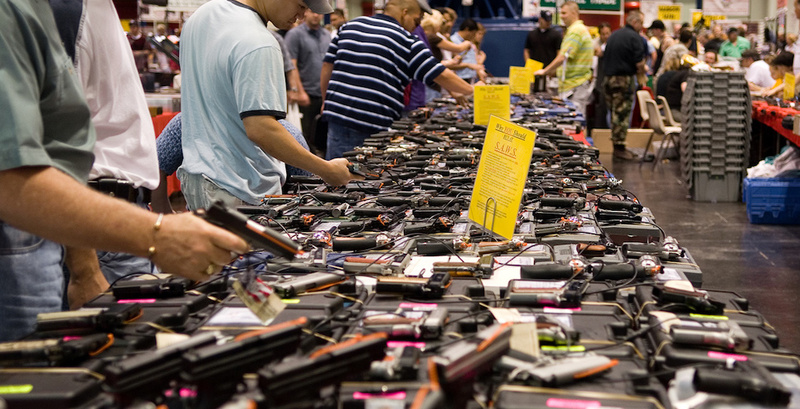 They’re also known as “extreme risk protective orders.” People at risk of violence can submit reports to law enforcement that, after court review, permit police to temporarily — I repeat, temporarily — prevent suspects from gaining access to firearms. Red flag laws have been passed in 10 states and are currently up for debate in 29 more. They’ve been proven to help prevent domestic violence and reduce rates of firearm suicides. Texas politics have long been plagued by inaction and false promises, but the way that our lawmakers have now outdone themselves with red flag laws is astonishing. They’ve held months of testimony on the issue in a vague attempt to appease gun violence prevention activists, but behind the scenes, it’s obvious that they don’t care about employing these laws to save lives. While Gov. Greg Abbott was making “bold” public statements about his support for red flag laws, his cronies were making sure the Republican Party platform specifically reaffirmed the GOP’s opposition to them. In spite of the fact that our state Legislature held hearing after hearing on red flag laws, some dangerously uninformed lawmakers pushed the false narrative that these laws are intended to take the guns out of the hands of rightful owners. This is blatantly false. Red flag laws pose no threat to the vast majority of gun owners, who are law abiding citizens and model common sense gun use on a daily basis. Red flag laws save lives — of both those gun owners and the people around them — but our politicians don’t care. Red flag laws are supported by the majority of Texans, but our politicians don’t care. Instead, our politicians are content to blame gun violence on problems that they claim don’t have solutions. They say it’s a matter of bad people doing bad things. If that’s true, red flag laws would help. They say it’s a mental health issue. If that’s true, red flag laws would help. It appears that our lawmakers would rather protect guns than the lives of their constituents. Our lawmakers are out of touch with reality. They work in areas far better protected than our schools, our churches, our movie theaters, our grocery stores and our homes. Because no guns are allowed on the House or Senate floor, our elected representatives, unlike the students of Texas, have never had to practice active shooter drills. They have no reason to be afraid. But my generation does. And that’s why we fight to do what our politicians won’t. We fight because “surviving high school” means something different for kids these days than it did when Dan Patrick was a student. Mr. Patrick, Mr. Abbott, and their enablers in the Texas Legislature are fine with leaving proposals for red flag laws in the dustbin while Texas hurtles down the road to the next mass shooting, next suicide, next domestic violence incident, and next accidental death. All they have to do is listen. And then they have to act. Beto O’Rourke: Playing the Ted Cruz game?